We all have our own 'way' of preparing for a presentation. Some people are extremely good at their stuff (content) but do not make great slides. Others make awesome slides (design) but don't know what they are really saying. Then there are others who are miserable on stage (delivery) but we (the audience) knows that they are good at what they do. "Every presentation is unique and every presentation is similar." Every presentation is unique in its own way. The topic, the style, the seriousness, the stakes can all vary. Yet every presentation is the same. We have a message, we need to design slides to convey that message and we finally go on the stage and deliver the message. The three elements common to all presentations are: Content, Design & Delivery. Our presentation performance depends on how well we do all three of these. One cannot be done at the cost of the other. We need to have solid content, we need to design good slides and we have to deliver it in a persuasive manner. One step to mastering all the above is to devote reasonable time to all the three areas. Generally most of us are good with our content. We know what we have to say. Many of us are average at making slides and most of us are not so good at standing and delivering the presentation. We have butterflies in our stomach. Human nature is that we do what is easy and delay what we dislike. So most of us never rehearse for our presentations, because we don't like doing it. One way we can ensure we focus on Content, Design and Delivery is to follow 'The 50-30-20 Principle'. This principle states that we spend atleast 50% of our preparation time on content. On deciding what we should say and what we should not. Another 30% should be spend designing the slides. This step needs to be followed 'after' the content is ready. Then comes the balance 20% of time which must be spent rehearsing your talk. 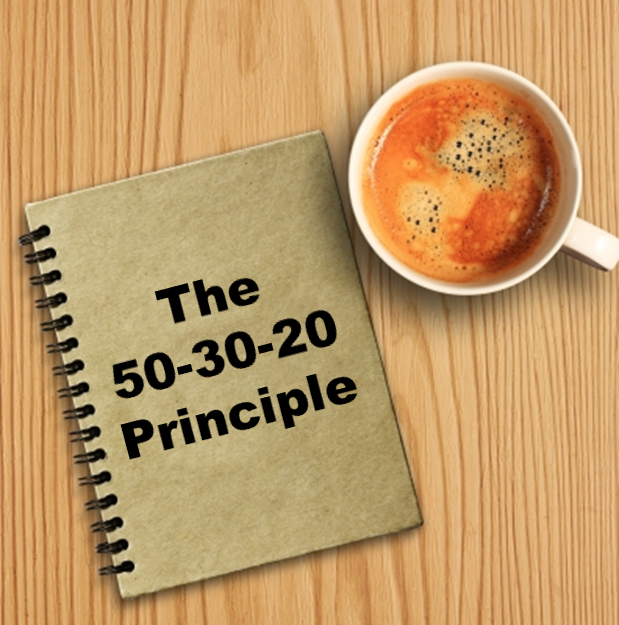 This principle is just a guideline and you can tweak around it. Following this principle ensures you spend reasonable amount of time on all the three elements of a presentation. Assume you have 10 hours to prepare for a presentation. Normally you will spend all the time making the slides and fine tuning your content till the last minute. I remember talking to the organisers of Ignite and finding out that many presenters sent their slides just at the last minute. If you spend all the time making slides then when will you rehearse the presentation? Imagine knowing everything and having great slides but making a mess while delivering the same. What a loser! First work on your content. Write down (on a paper or whiteboard) what all can you say. They cut down and zero-in on what exactly you will be saying. Time is limited and you cannot say everything. Now you arrange the content in logical order and decide what to say on which slide (you can do this using post-it notes). You are still to open MS PowerPoint. Once the entire picture is clear, should you open the software and make the slides. The time it will take to make slides will come down because you already know what goes on each slide. Having completed your deck of slides, you should now rehearse the presentation. Stand up and start talking. You can time yourself. Get a colleague of yours who can critique you and help you improve. Spend time wisely when preparing for your presentations. This will be an important step in making you awesome at presentations. So what's your recommended percentages if you choose NOT to use slides? I know, this might be considered a little heretical! It's not heretical. There are so many presentations without slides. For such presentations there are only 2 things; Content and Delivery. I would suggest 60% time for content and 40% for delivery. When there are no slides, the audience will all the time look at you and you have to be very good at delivery. So spend some more time and prepare well.